Have your Order delivered to your Home or Job Site, FREE! 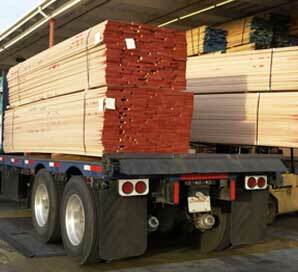 Save your heavy hauling and lifting for us! No matter what size the order, Braun Building Center will deliver your order directly to your home or building site within a 25 mile radius of our store. 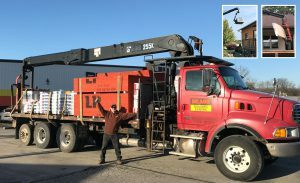 Braun Building Center has a fleet of delivery vehicles including a specialized flatbed roller trailer and a boom truck for convenient delivery directly to your second floor or rooftop, if needed…drywall, shingles, trusses, whatever the Braun order, contact us today. 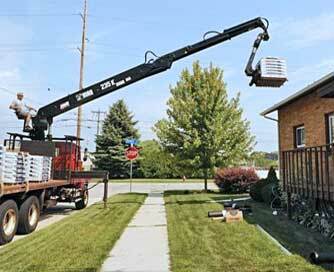 FREE DELIVERY within a 25 mile radius of our location in Manitowoc.